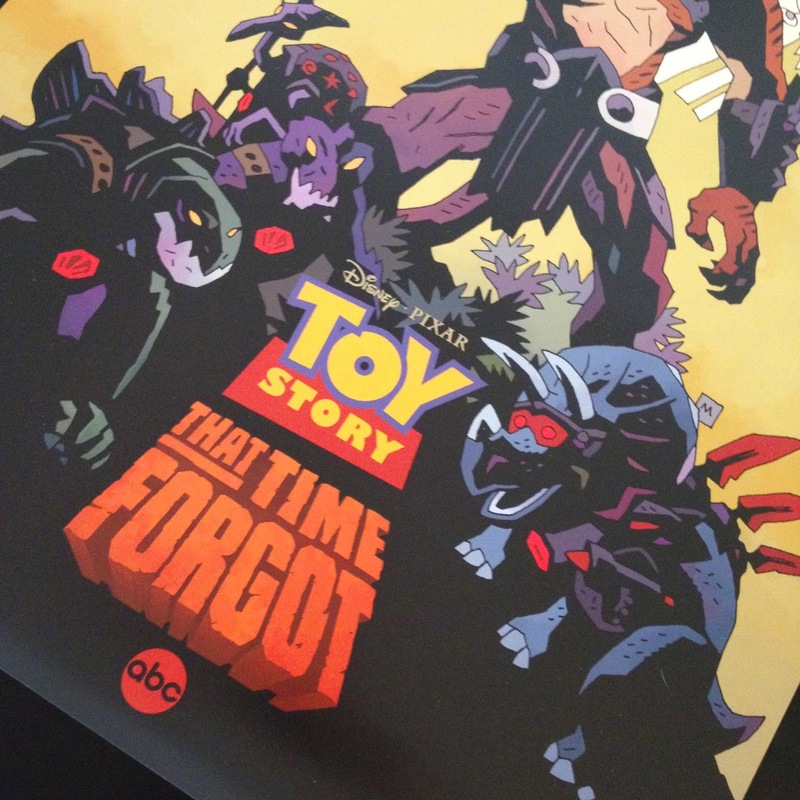 Last month, San Diego Comic-Con (SDCC) attendees were given the first ever glimpse at the brand new Toy Story: That Time Forgot half hour TV special, which will premiere on ABC this December. Those in attendance at the That Time Forgot panel were able to view footage and concept art from the TV special as well as hear some of the filmmakers talk/answer questions about the making of the film. 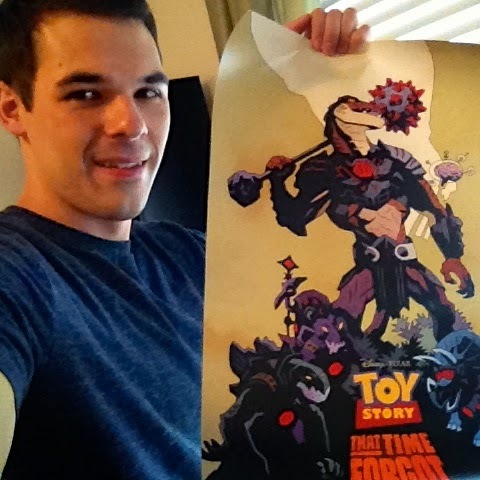 Additionally, at the end of the presentation, guests received this exclusive official poster for the short (FREE of charge) in addition to having the unique opportunity of having it signed by some of the filmmakers present at the panel including: Galyn Susman (executive producer), Steve Purcell (director), Kristen Schall (Flight of the Concords, voice of Trixie in the Toy Story films), Derek Thompson (head of story), Michael Giacchino (the film's composer) and Mike Mignola (who designed this poster, also the creator of Hellboy). 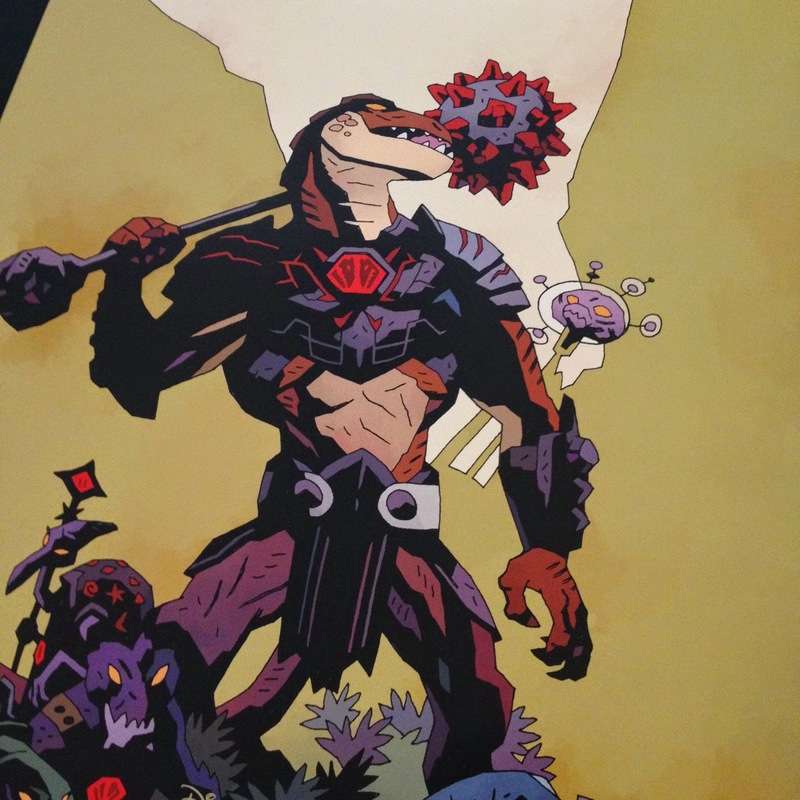 The poster measures about 22"x 15". Since I was not able to attend the 2014 SDCC, I had to resort to eBay for this purchase. Unfortunately mine isn't signed (since the signed ones were out of my price range), but I'm so thrilled to just have this one! I was lucky and only paid $40 for mine, but they typically sell between $75-$150. 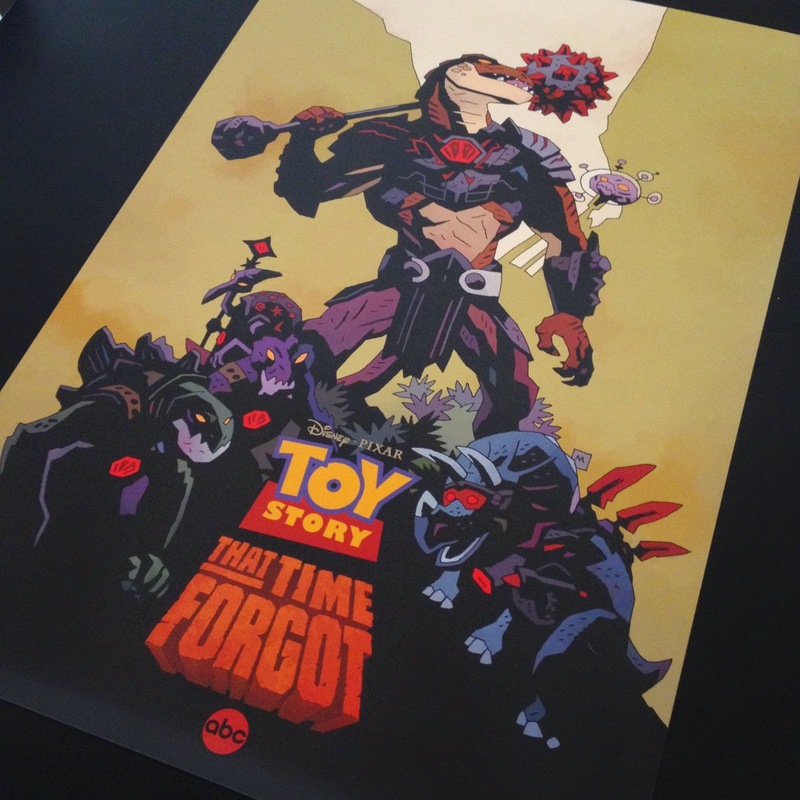 I think the design of this poster is fantastic and different than anything we've ever seen before in the Toy Story franchise. I was taken back when I first saw it, since the look is more different and "edgier" than Pixar usually goes for, but I quickly came to see the "awesomeness" of it and was determined to have it as part of my collection. I can't wait to see this film and know that it won't disappoint! December 2nd can't come soon enough. If you're interested in learning more about this upcoming short, you can watch the entire panel discussion (minus the film clips) from SDCC HERE (thanks to the YouTube channel MouseInfo). Thanks so much for stopping by the blog and be sure to check back daily for more!